Anyways a few new things. Actually one new thing. I’m gonna make a Fan Art tab on the site because people have been drawing me stuff and I want to have somewhere to post that shiz! Also because I love you guys and I love community interaction so it all works out. Also because it’s fun to see all the interpretations of Katherine people make since I almost never draw her the same way twice. I don’t really have enough F’art to put up. Just make sure you include your internet handle or name or whatever you want me to credit you as, and even a Deviant Art page or Tumblr or something if you want me to link you under/on the pic! Because I like to source my people, yo. Oh wait I lied there’s more. Hold on. If you guys want to support me in my artistic endeavors and get some cool new pictures out of it on a monthly basis, check out my Patreon! 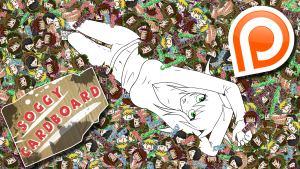 It’s got a picture of Carmen on it laying in a sea of her and her friends severed chibi heads! Aren’t I WACKY?! 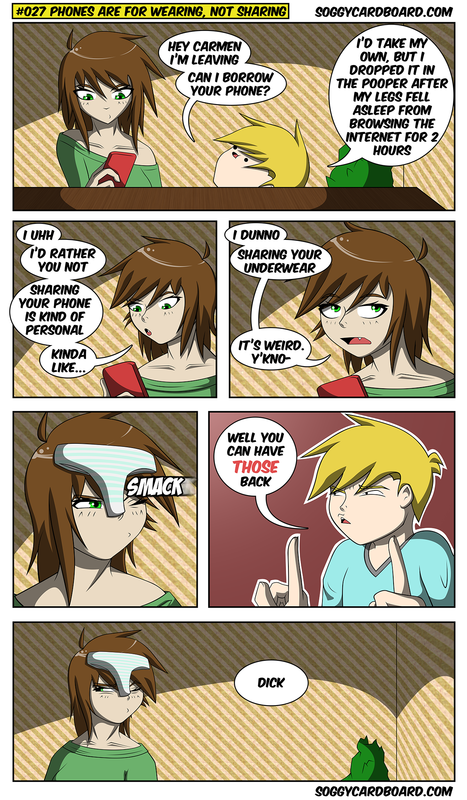 She might want to keep a lock on her underwear drawer. Ooh. I would like to make a fanart of this. So.. do they change the wallpaper often or are there a lot of rooms in this house? I’d hate to be roommates with him. Good sir, I am willing to pay you at least 12 nickles for those undies! I’m gonna f’art all over this webcomic as soon as I have the time.